Research tells us that moderate exercise is safe in a normal healthy pregnancy, even if you did not exercise before you were pregnant. This doesn’t mean that you need to join a gym or buy lots of expensive equipment. You can walk, swim, cycle, or find something that you like to do that gets your body moving and heart working. You need to check with your healthcare provider before you begin any exercise program. Talking with your healthcare provider gives him or her more information about how you are taking care of yourself and your baby so you receive the right guidance—it will also help you feel more confident about adding exercise that’s right for you. If you don’t have a family doctor, you can search for one in the directory at www.pregnancyvancouver.ca. If exercising is new for you, start out with 15 minutes per day. This can be increased to 30 minutes per day when you feel comfortable. As a general rule, try to exercise at least thirty minutes per day to get the benefits for you and your baby. Find a family doctor for your pregnancy and beyond at PregancyVancouver.ca. 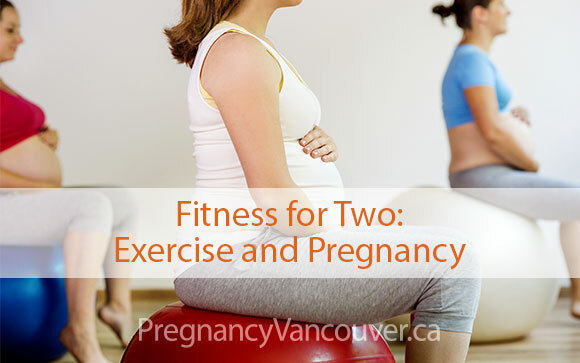 Pregnancy Vancouver is a project of the Vancouver Division of Family Practice (VDoFP). The VDoFP is creating a network of Family Doctors to enhance and facilitate knowledge exchange about prenatal and postpartum care, connect Family Doctors, and improve the maternity care referral process.